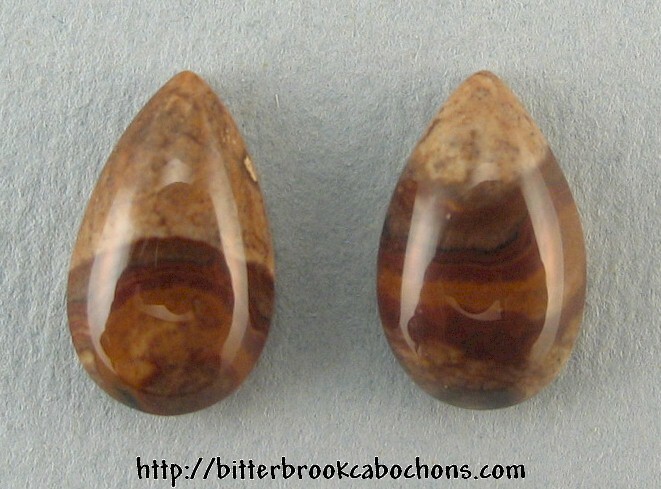 I was cutting these nifty teardrop Biggs Jasper cabs, minding my own business, when Gloria at Wire Treasures said, "I need some Biggs Picture Jasper cabochons for earrings!" So she got them... You can see them here! Dimensions: 14mm x 10mm x 4mm each. Weight: 7.00 carats.